This is the time of year that my garden explodes with color. I'm not the tidiest of gardeners; most of my beds aren't planned in advanced. 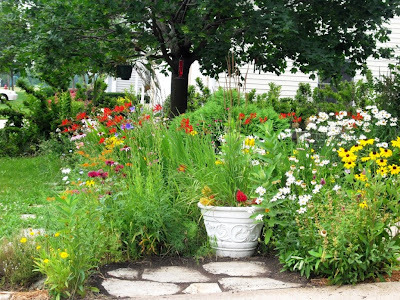 I place plants wherever they will fit, and also let things spread and reseed themselves where they will. But I kind of the like the wild, pseudo-Impressionist look I end up with. A bit closer. 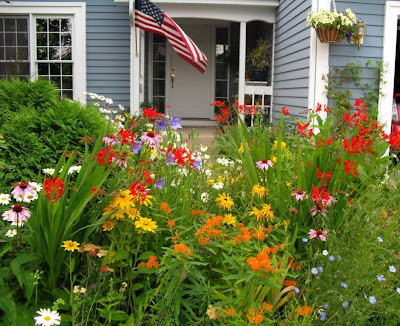 The red flowers are Crocosmia 'Lucifer,' the yellows are Rudbeckia hirta cultivars, including 'Prairie Sun,' (with the green eyes) the blues are Platycodon grandiflorus, the oranges are Asclepias tuberosa, the pinks are Echinacea purpurea, and the whites are Leucanthemum x superbum. 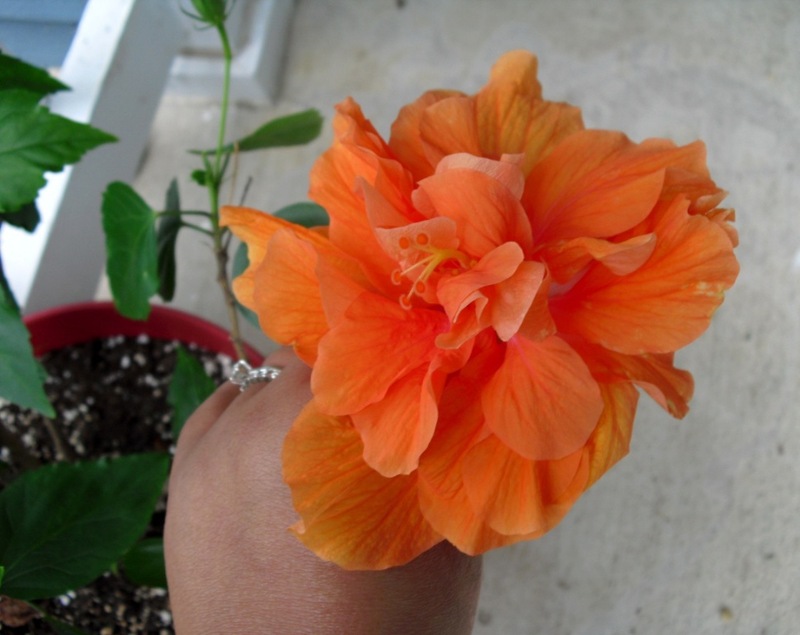 My double flowered peach Hibiscus. The flowers seem to be slightly darker than those from last year. 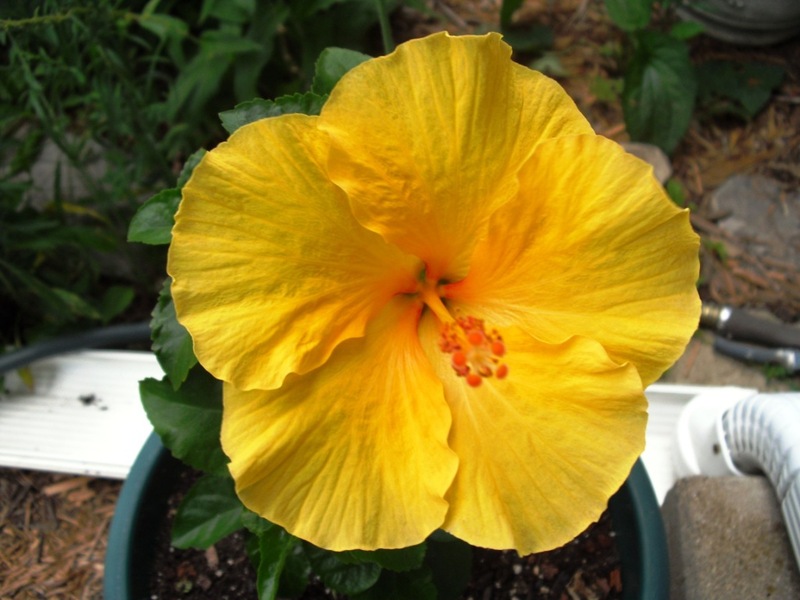 Yellow flowered Hibiscus. I truly thought this one was a goner, as it died down to one stem. But it is now doing well. A beautiful assortment of flowering plants. I have just about all of them growing in my own garden, and they are all superb performers. Gorgeous Hibiscus! The fluffy ones are my favorites! Your front garden looks beautiful and can easily compete with any elaborately planned arrangement! how beautiful there in the front garden! wowzers! love your hisiscus,,,am thinking about getting a yellow now too! 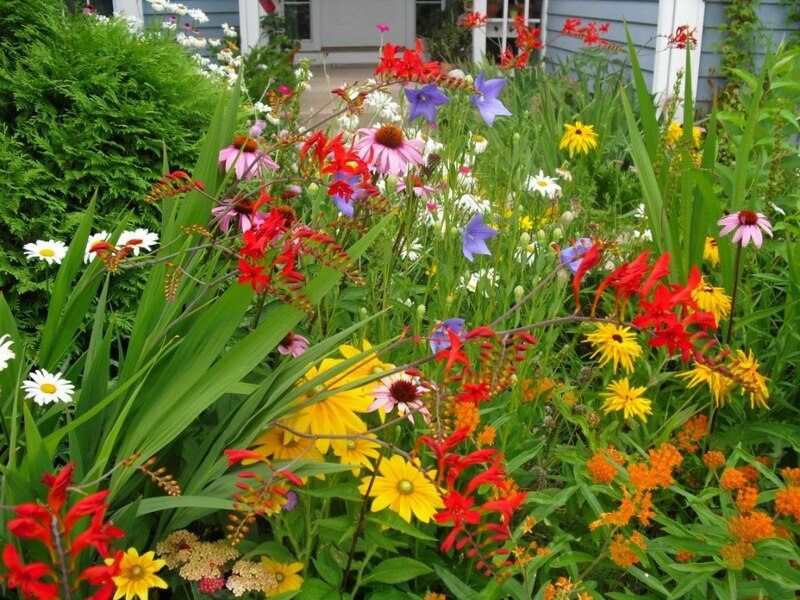 I'm loving the colours, Karen - one might be tempted to say that your garden's at its peak, but that would be discounting the other months of beautiful activity. I also learn that Hibicus is actually a national flower of Malaysia, a tropical paradise..
Apart from Hibicus, lily is another favorite of ours - my wife & myself. Your garden looks so beautiful! That shot with the flag is awesome! I would like to see it in person but this works!